Alpesh, who currently leads BCG’s Insurance practice in Asia Pacific (AP), is an alumnus of IIM Ahmedabad. As a senior BCG leader he has worked closely with clients across several sectors including insurance, banking, telecom and private equity across Asia. He also serves on BCG’s global client team. 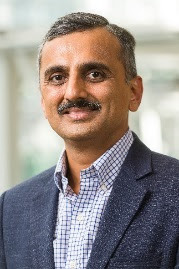 Speaking on his appointment, Alpesh said “It is both an honour and a privilege to lead this incredibly talented group of partners and our strong India business. I am excited by the impact that we can create for our clients and for India”. Dr. Janmejaya Sinha, Chairman of BCG India, added, “Alpesh is the right leader to strengthen and further consolidate BCG India’s leadership position in the industry. I am sure that he will continue to build on the winning growth momentum of the business”.